The idea for One Globe Kids was born one afternoon while I read the children’s book Joyce’s Day to my then 3-year-old son in our apartment in New York City. The book was printed in South Africa in 1974 and given to me as a newborn present by my Aunt Joan in 1975. Its photos and simple text made Joyce’s day in South Africa relatable to me, a young, white girl living in small-town Illinois. From beginning foreign language study in middle school to studying and working abroad, I strongly feel that my preparation for life in a diverse globalized world can be traced back to the simple curiosity I had for Joyce and her family. You might know a child like me: one you’d NEVER expect to write children’s books. One who thinks of writing as very serious business–definitely not fun. Endless gratitude to growing up in Oakland CA, on a hill where you learned how to stop your bike or jump off your skateboard before the stop sign at the bottom; in a neighborhood where kindness was the norm, and we played together, looked after each other. One of the co-founders of MCBD, Mia Wenjen, made a comment on a podcast recently that was beautifully accurate. Mia stated that, when it comes to introducing kids to multiculturalism in this world, two of the best ways to do so is through books and food. The Seattle-based book publisher, Readers to Eaters (R2E) has not only nailed that concept but done so in an urban and modern way. 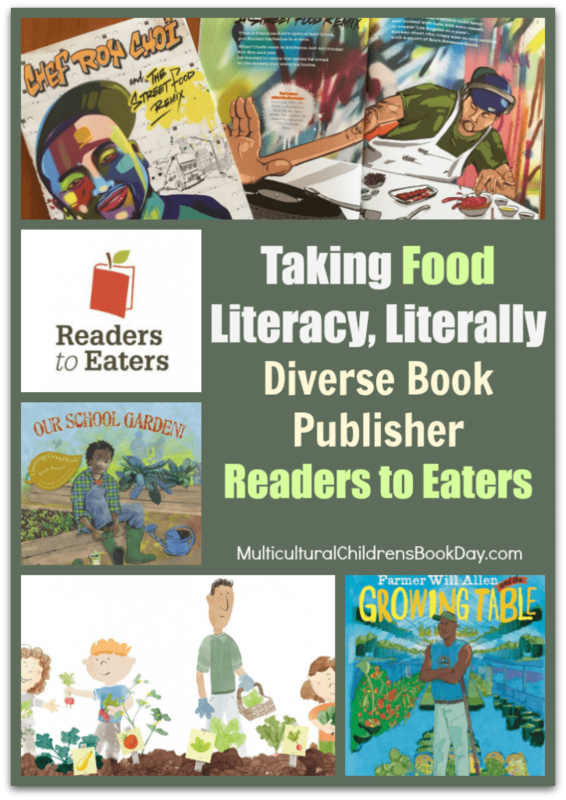 But many of R2E’s children’s book offerings are not just about diversity, they are about having a food dialogue. Their books strive to not only create a heightened awareness as to where our food comes from in its most natural state, but how what we eat is a focal point in bringing people together. As one for the original co-founders of the largest diverse children’s book publishers in the world, Lee & Low Books, Philip Lee knows books and the importance of getting those books into the hands of young readers. When Lee & Low was founded in 1991 and Philip was the “Lee” in the “Lee & Low” company. After launching this wildly successful company with co-founder Tom Low, Philip left the company in 2004 and later started his own publishing house, Readers to Eaters, with his wife, June Jo Lee, in 2009. Around 2007, Philip and June Jo began noticing that there was a new trend coming to the forefront; the food movement. Books were being published about the U.S’s broken food system and Americans were taking notice. In 2009 Michelle Obama launched the White House Garden Project and that’s when a need for a “food dialogue” became glaringly obvious to the ambitious publisher. To this day, Philip and June Jo continue to be committed to helping kids and families have a better understanding of what and how they eat. The business started off as a pop-up bookstore that could be found at farmers’ markets and harvest festivals. The Lees also attend many conferences for science and reading teachers, librarians, nutritionists, food activists, and chefs throughout the year. Together, this dynamic duo also created #FoodHeroes to get kids interested in where food comes from and one of the more prevalent #FoodHeroes is Farmer Will Allen; a former basketball star turned urban farmer and educator. Another modern #FoodHero is CHEF ROY CHOI AND THE STREET FOOD REMIX ; a Korean American chef who gained prominence as the creator of the gourmet LA Korean taco truck, Kogi. He is a chef who is celebrated for “food that isn’t fancy” and is known as one of the founders of the gourmet food truck movement. Roy has earned a stellar reputation for giving Korean and Mexican food a culinary “remix” while also creating jobs in communities. 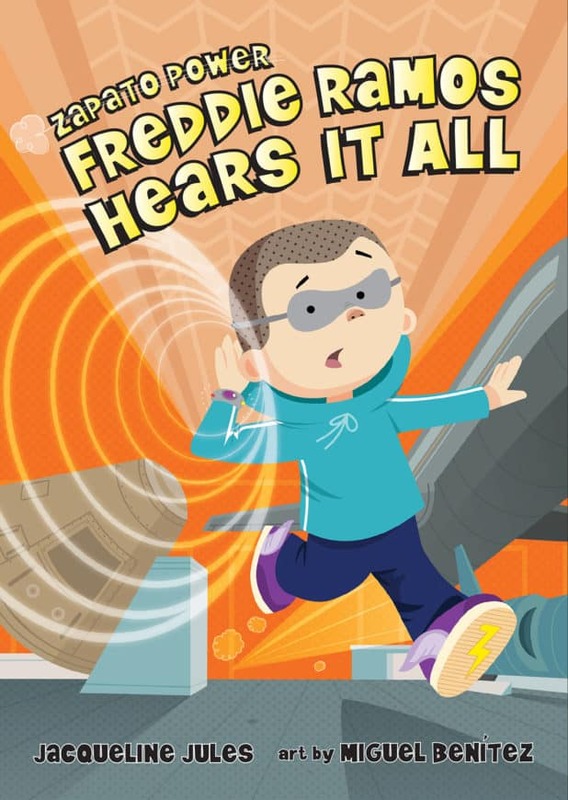 This book has appealed to kids from elementary age to high schoolers in a big way and is also the recipient of the Robert F. Seibert Award Honor Book for Most Distinguished Informational Book 2018 by the Association of Library Services for Children (ALSC), a division of the American Library Association. In addition to FARMER WILL ALLEN and CHEF ROY CHOI, Philip added that his company has also published OUR SCHOOL GARDEN! and A MOOSE BOOSH; two wonderful books that have been well received by kids, parents, and educators. R2E’s books do include the idea of food prep and harvest, but these unique books embrace immigration, social justice, food literacy, self-identification and exploring the traditions behind food. Food can be so much more than a meal as well. Food supports community building and bringing people together. To learn more about Readers to Eaters, visit their website. 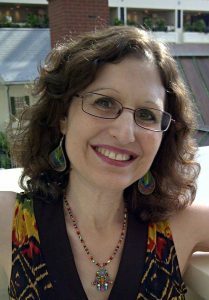 We are so excited and honored to have author Maria E Andreu stop by for a visit. 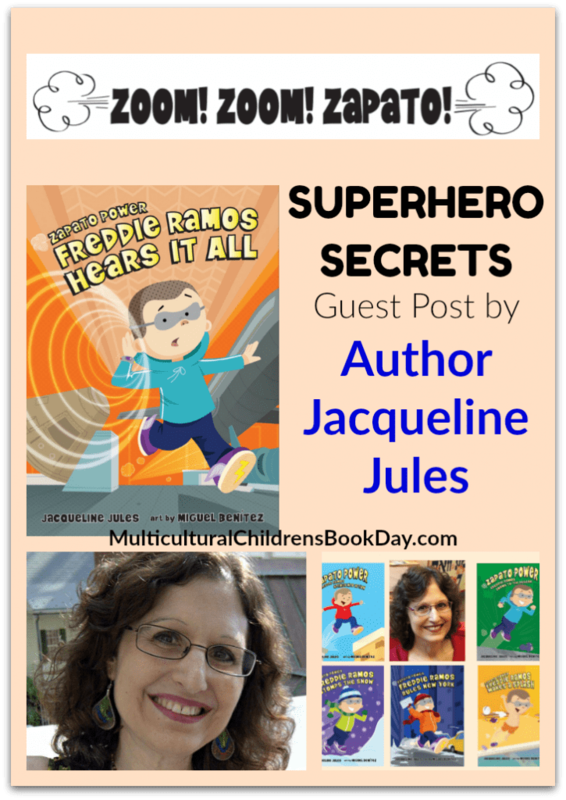 Maria’s book The Secret Side of Empty was named among School Library Journal’s Top 10 Latino Books of 2014!